Welcome to Kings Little Mikey's page. 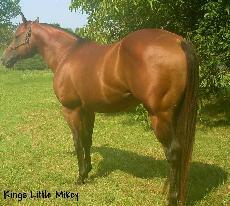 The breeding fee for Kings Little Mikey is $400. We offer live cover only and a live foal guarantee. Mare care is in addition to the breeding fee. Mikey is out of Kings Tierney's first foal crop and is a testament to Kings Tierney's ability to pass along his looks, smarts and temperament. Mikey instantly won our hearts on the day he was born. His disposition is even better than his sire's. 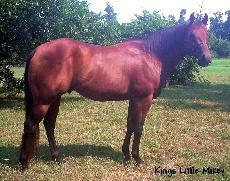 His first foal came in the spring 2006. He is passing along his looks and wonderful disposition to his foals. Visitors to our farm often comment on his beautiful head and his muscular body. His pictures do not do him justice.